Italian broadcaster Mediaset has secured exclusive rights to Formula E motor-racing for the next five years. The deal means that Mediaset, which already holds the rights to the electric car motorsport, will continue to broadcast Formula E exclusively. 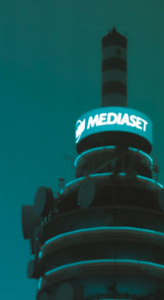 The agreement between Mediaset and Formula E Holdings means that the ABB F1A Formula E championship of zero-emission electric single-seater cards will be seen live and in the clear in HD on Mediaset’s networks. The broadcaster said that the it had decided to continue to broadcast Formula E in the clear and without subscription charges following the success of the sport’s most recent season, which concluded with the E-Prix in Rome on April 14 with 1.2 million viewers for the company’s Italia 1 channel.